From a typographer’s point of view, there really isn’t much to say. The first edition vinyl of Unknown Pleasures barely had any text on it anywhere. Fittingly, the text it did have, at least in the UK, was all set in Helvetica. Apparently, when the album came out in the US, the text was set in Univers. As to why, I have no idea. I know it’s common to market albums differently in each country and then there are the usual moral controversies (re: the Beatles Yesterday and Today), but Univers instead of Helvetica? My guess is the printer didn’t have Helvetica and figured, “eh, what’s the difference really?” To which I would say, yeah, they’re close cousins, for sure. Helvetica and Univers are both based on the 1898 typeface Akzidenz Grotesk (created by the H. Berthold A.G. type foundry) and both were released in 1957 along with the other close cousin, Folio. Here’s a handy comparison chart, for the complete nerds among us. I’m still partial to Helvetica, but whatever. 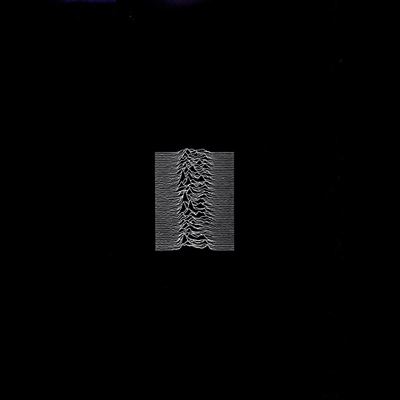 There is no version on Unknown Pleasures, anywhere, that has Love Will Tear Us Apart on it. You’re right Alex… the single came just afterward in 1980. I think Eric was trying to speak more generally about Joy Division, but thanks for the clarification! saville created many of the fonts he used himself. Strangely enough, i have bough a copy of the deluxe CD version and the entire art was set in Akzidenz Grotesk, i wonder why, maybe Saville felt that akzidenz is better for long texts (and i feel it too) of the sleeve.